The Consortium brings together international pediatric gastroenterologists and scientists from academic centers to identify the causes of Very Early Onset Inflammatory Bowel Disease (VEO-IBD) in order to develop new treatments for children with these rare diseases. Identify the genetic variants responsible for VEO-IBD and define the molecular networks which are disrupted as a result of these variants. 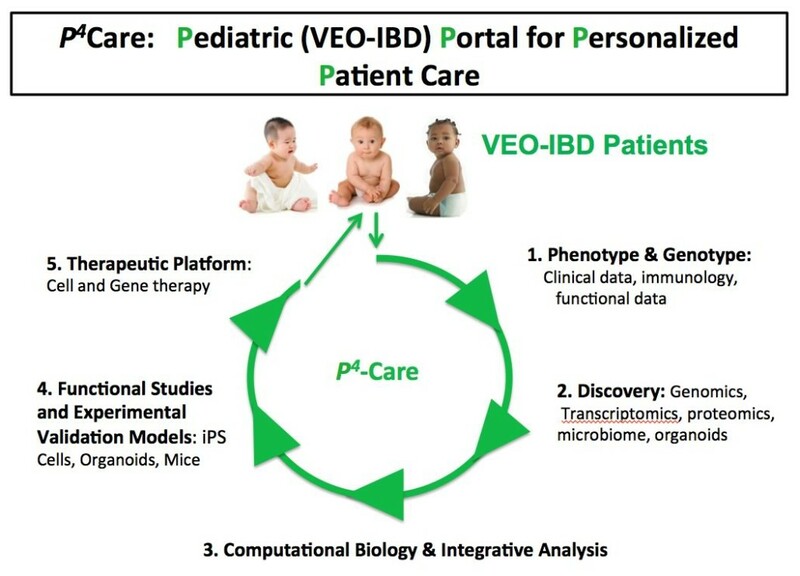 Create an innovative Pediatric VEO-IBD Portal for Personalized Patient Care (P4Care) to develop tailored treatments for VEO-IBD patients. Determine environmental factors affecting genetic and immunologic pathways relevant to VEO-IBD. Head of the Pediatric Gastroenterology and Nutrition Unit at Shaare Zedek Hospital, Jerusalem, Israel.